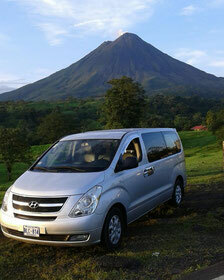 To travel in comfort while on a budget we offer our collective transportation services; with the same standards that we’re known for we offer transportation between different tourist sites in Costa Rica with both morning and afternoon departures. These trips are made in new micro-buses equipped with air-conditioning; the departures are scheduled so you can travel reliably and safely. We provide this collective service from hotel to hotel; this is most economic when traveling with a group of three or less. 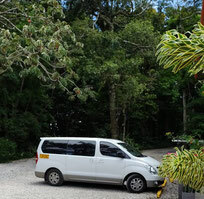 For groups of four or more we offer our private transportation options which give you the best deal for comfort and cost. 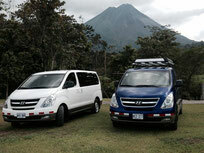 This a good option to save time and enjoy your time traveling around Costa Rica. We provide all the transfer services in a new minubus with air conditioning. You travel with enough space for luggage inside the minibus and your baggage is in the same vehicle all the time with you. Usually the shuttle service stops a couple times. For 4 or more persons traveling together we recommend the private transfer because costs less and is more convenient and comfortable. 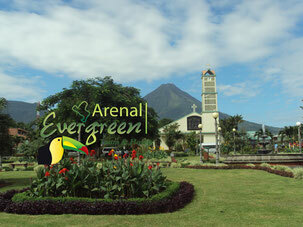 Just let us know which one is your next destination after your visit to Arenal - La Fortuna or from where do you want to come to Arenal Volcano area, to send you details, schedule and rates.